I’ve now been around three or four times, and it’s consistently fantastic. 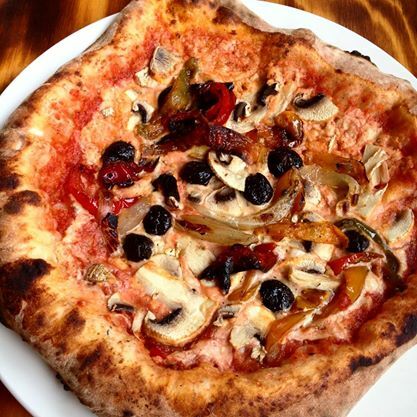 The service is friendly, the vibe is chilled out and the pizza is incredible. Again, the vegan cashew cheese was ridiculously yummy. I’m now well stocked in different vegan cheeses, so its fab to have this unique locally made cheese. I can’t wait to see how this place develops – maybe even more veggies will be added to the toppings list, or vegan sausage! A girl can dream…. Turns out the cashew cheese is so popular they can sometime sell out of it, we were lucky that evening to get two big pizzas with the last of it on, the poor guys after us went without! So maybe call ahead to check it’s there as you don’t want to miss out. 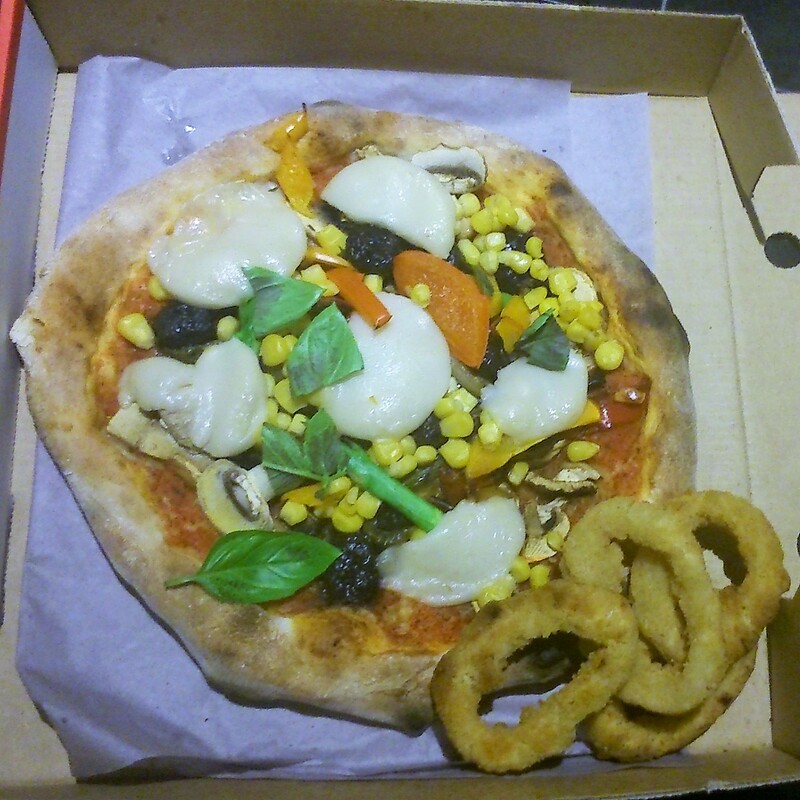 Here’s my snap of my boxed pizza at home, I decided to add on some MozzaRisella cheese, sweetcorn, basil, and some sneaky onion rings. 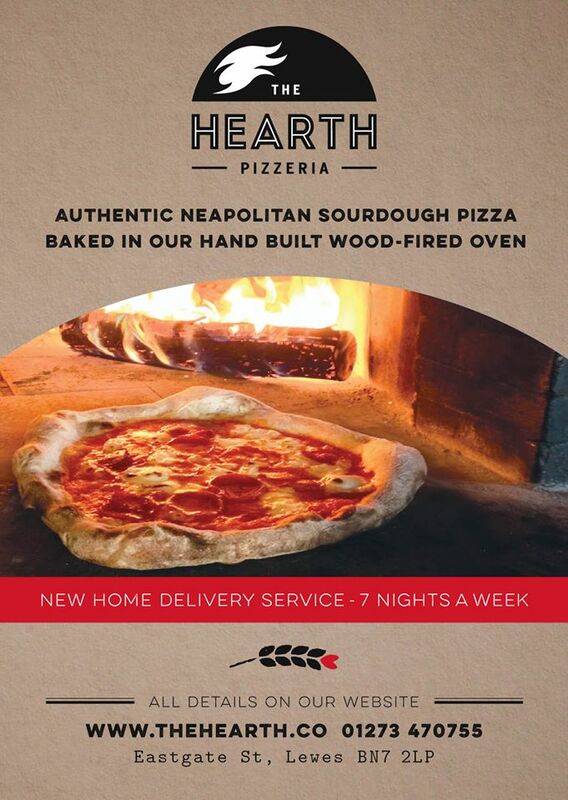 The latest bit of news about The Hearth is they have just started up a home delivery service. So, you can now support local businesses from your sofa. Good stuff! 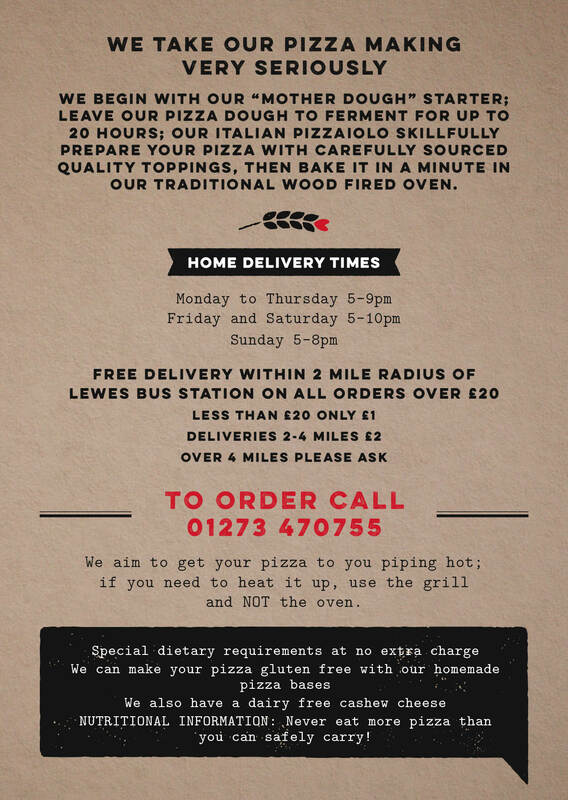 The Hearth are at The Hearth Pizzeria, Eastgate, Lewes,BN7 2LP and their website can be found here – check them out!